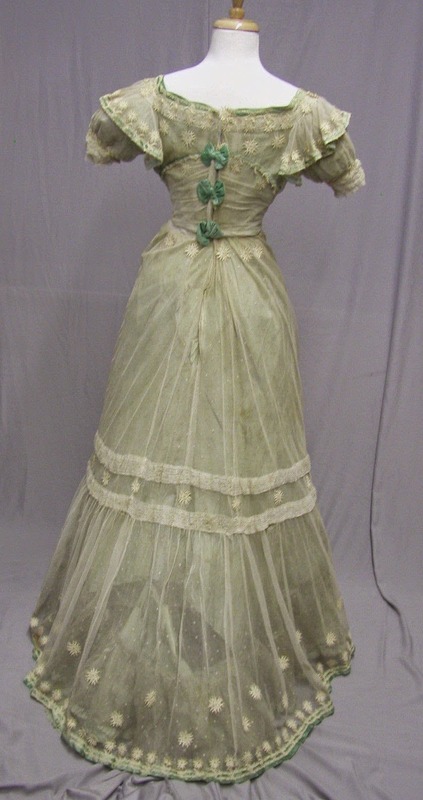 1900 Mint Green Silk & Lace Applique Ballgown: This lovely Edwardian ball gown was created in the early part of the 1900's. 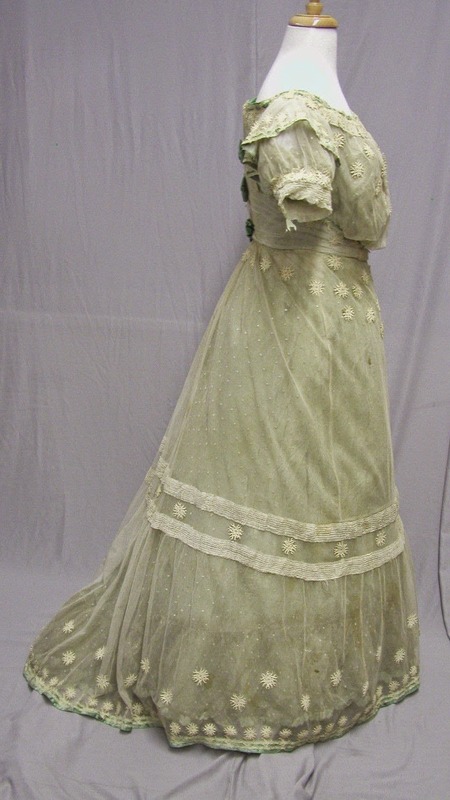 This was purchased from a Museum and has a card that reads: Mrs. Max Hircsh, 1770 S.W. Prospect. The card will be included with the dress. The bodice waist is 27, the bust is 34 and the shoulders are 15. the skirt waist is 27, the length in front is 39.5 inches in length. 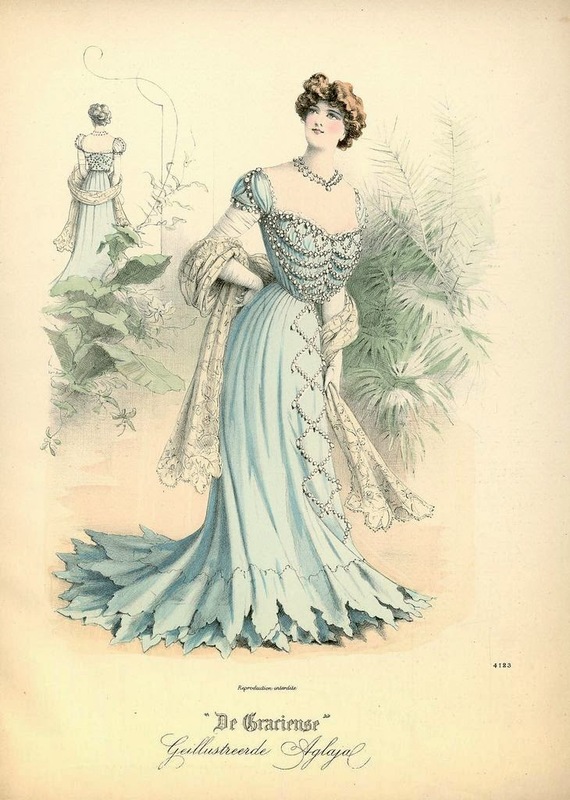 The 2 pc dress has many issues. 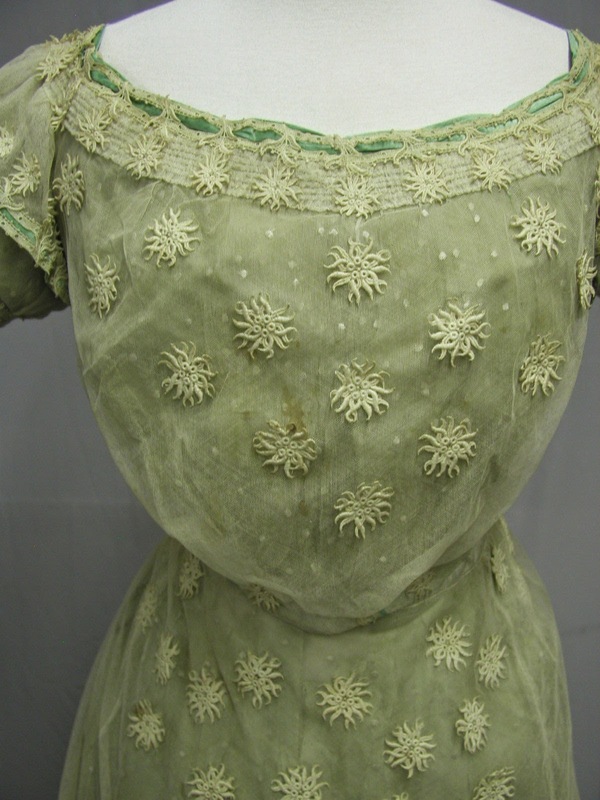 The bodice lining is green silk and it is deteriorating. See photo. The netting which is cotton has some staining but I don't see any holes. It is in sturdy condition. 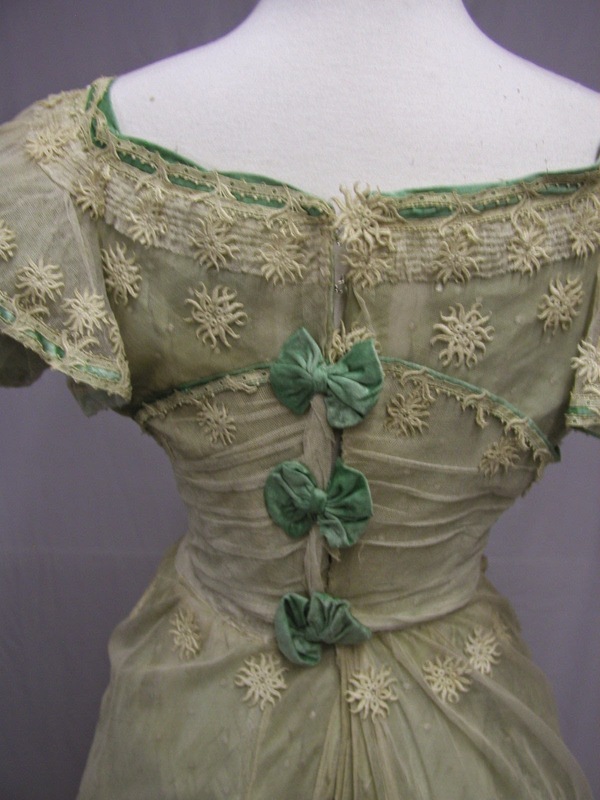 The green velvet trim is still soft and pliable. It does show some age related wear. The skirt has three layers. 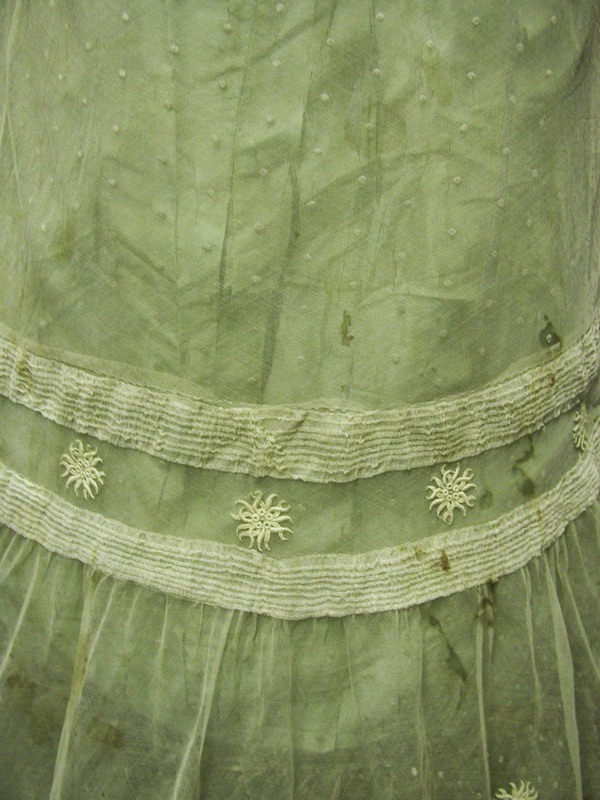 The bottom layer is mint green silk and is heavily shattered. See photos. 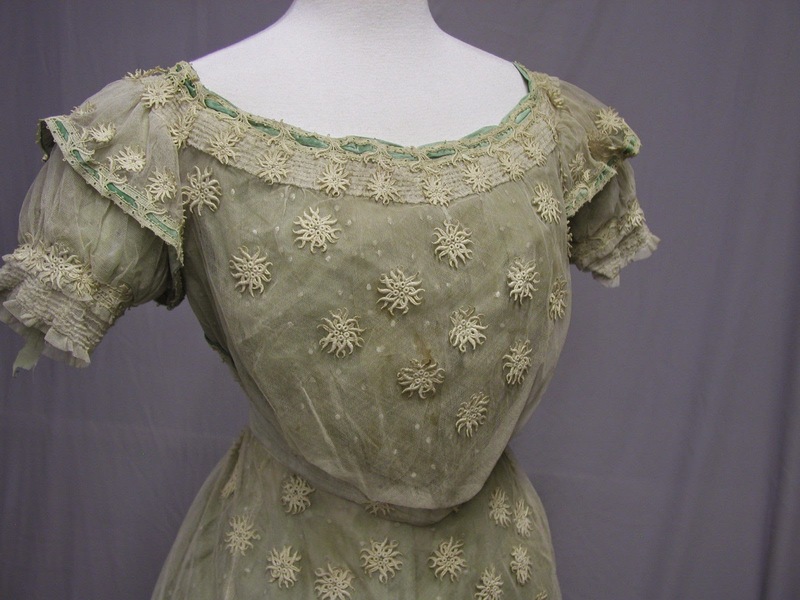 The 2nd layer is polka dot silk organza and has some age discoloration and stains, and has a 14 inch rent on the back side in the train. See photo. 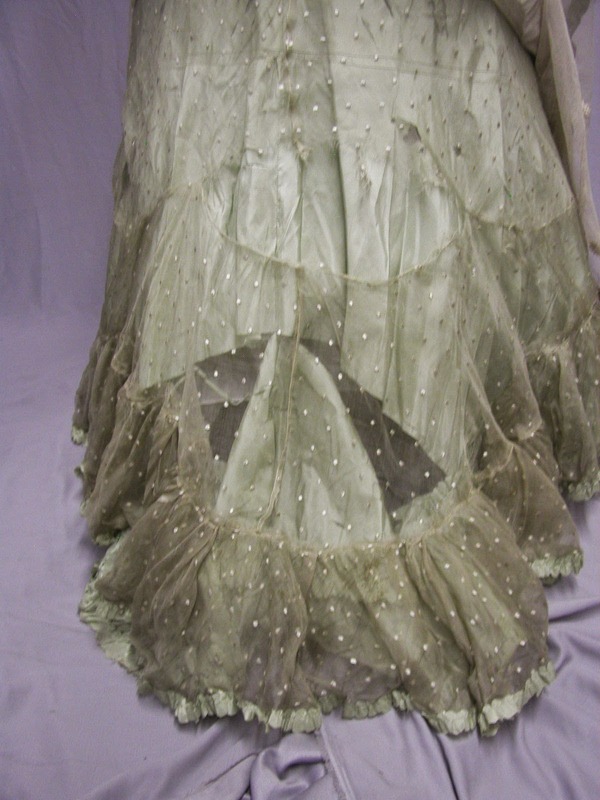 It has pleated silk all around the bottom. It is in a small scale size perfect for dolls. 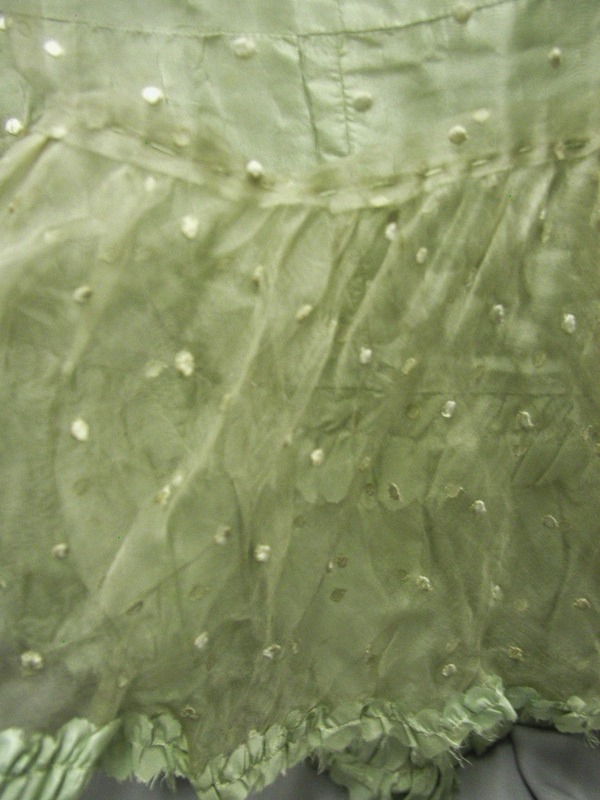 The outer layer is cotton netting with a lot of applique. The netting has some holes and heavier staining. See photo. 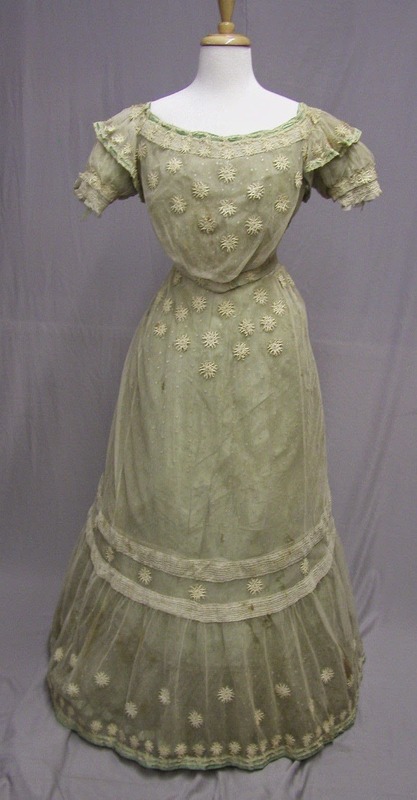 This would be a good for French and German doll clothing. ...Anyone that would dare to take this apart for doll clothing should be taken out back and shot. No mercy. Although the neckline on the extant gown is higher, the back shaping and the skirt and bodice lines are the same. 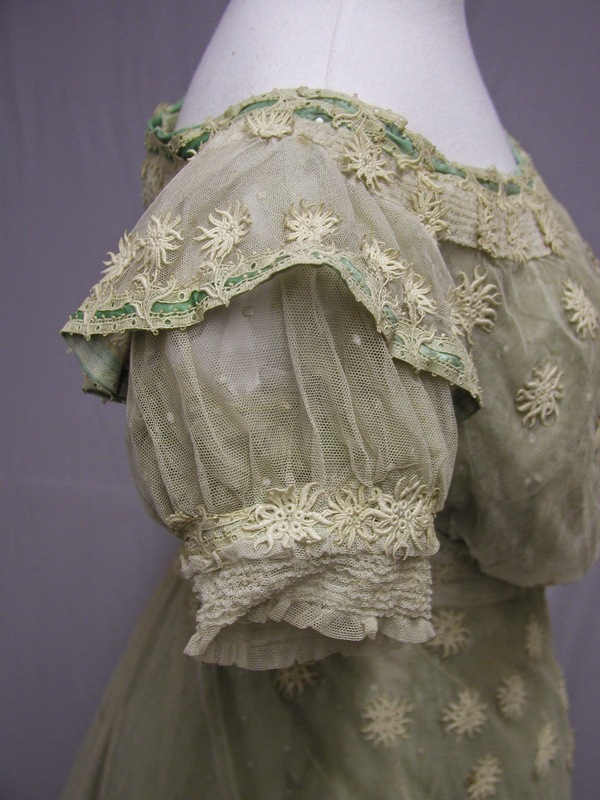 The whole thing is adorable, but I'm completely smitten with those exploding Cthulhu octopus / spider chrysanthemum lace motifs. Ohhhh this is just dreamy! :-) I like it too.